Businesses across the globe are trading in their on-premise data storage systems for faster and more secure cloud-based alternatives. In fact, the worldwide cloud services market is expected to grow 13 percent to $204 billion by the end of 2016, according to recent data from Gartner. In recent years, many organizations have opted to implement hybrid-cloud solutions which leverage both cloud and existing on-premise databases. This approach enables businesses to make use of their expensive legacy systems and reap the benefits of scalable cloud storage products. 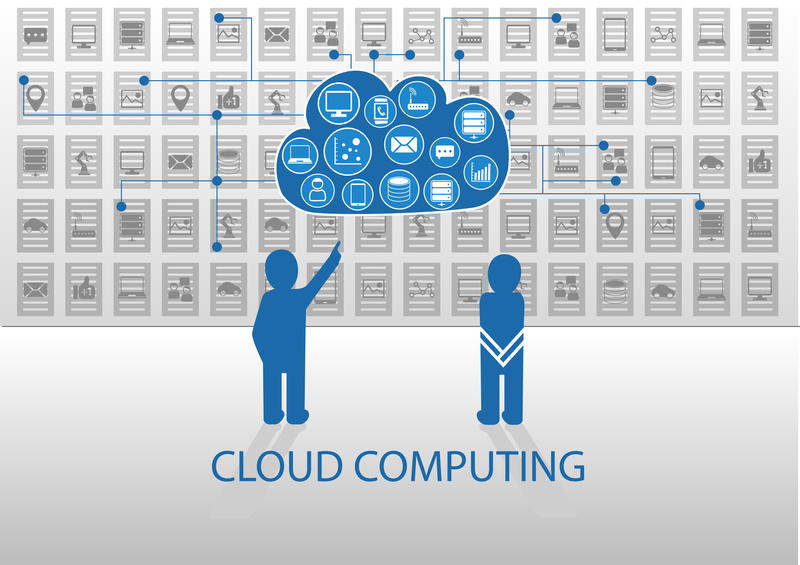 In 2015, the market for hybrid-cloud solutions grew by 45 percent, Synergy Market Group found. Of course, Microsoft has been in the data storage industry for decades. As a result, Azure easily supports cloud-hybrid systems and offers a number of custom features to ease data flow between legacy systems and cloud servers, TechTarget reported. For instance, its App Controller feature allows business to view data across all of their storage systems. Plus, Microsoft’s custom cloud-hybrid storage service StorSimple enables users to archive and backup data and comes equipped with disaster recovery tools. On top of that, Azure provides customers with cloud-based and on-premise administrators who can easily work out any kinks and help manage day-to-day data flow. Azure also offers a revolutionary Machine Learning Studio that allows users to build and maintain intelligent applications without wading through complicated code. Anyone who wants to create an app on the platform only needs one thing: an active web browser. After logging into the platform, users can employ an easy-to-use, drag-and-drop interface to build out entire apps with Microsoft’s proprietary and widely used .NET framework. AWS and Google Cloud Platform offer machine learning services, but neither feature such an intuitive interface. Additionally, both providers hide their support materials for developing intelligent apps within large, hard-to-search support portals. Conversely, Azure offers step-by-step directions during the building process. Every day 1.5 billion people use Windows. Azure offers integrated services to these existing customers that other IaaS providers like AWS and Google Cloud Platform simply cannot match. On the other hand, businesses new to Azure can instantly integrate with time-tested Microsoft services, allowing them to boost the productivity and improve their overall scalability. In fact, 40 percent of its revenues come from independent software vendors and startups. Of course, Azure also offers its users access to third-party resources through the Azure Marketplace, which features more than 3,500 products from vendors Citrix and WordPress. Additionally, the solution beats out the competition when it comes to data security. In 2014, the Electronic Frontier Foundation awarded Microsoft 6 out of 6 stars in its data protection report and is often an early adopter of international use security protocols. As a result, Azure comes backed by an organization with strong data security credentials and has custom features that protect businesses from data breaches. For instance, even if unauthorized personnel manage to enter any of the eight Azure data centers, they can’t actually access any information, Lifehacker reported. The locations are administered remotely and virtually impregnable. Microsoft employees don’t have access either. Even the individuals that maintain Azure and code system features and patches must enter their code into an industrial-strength virus detector before it goes live. These features make Azure the most effective cloud storage solution on the market – an industry-leading platform backed by decades of enterprise data storage experience.